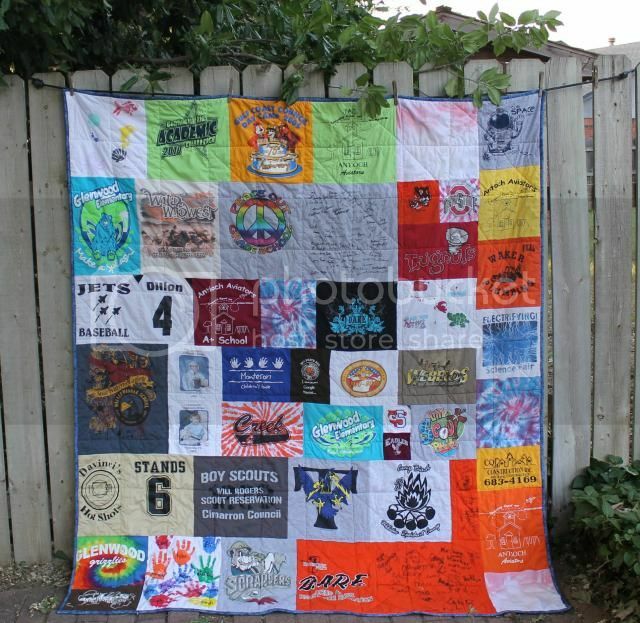 Family T-Shirt Quilt #2 - Finished! This is more than forty different t-shirts. Way, way past my maximum and took longer to get it organized on paper than it did to put it together. I'm not going to lie, it took two glasses of wine to finally fit the puzzle together. 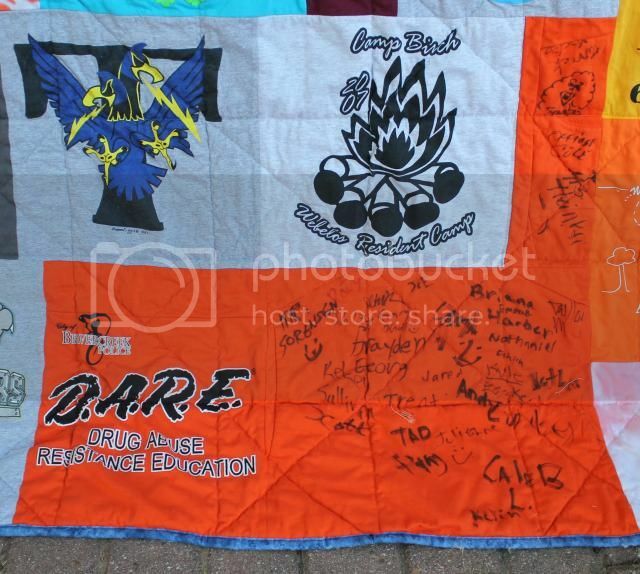 This Dare t-shirt was the bane of my existence. 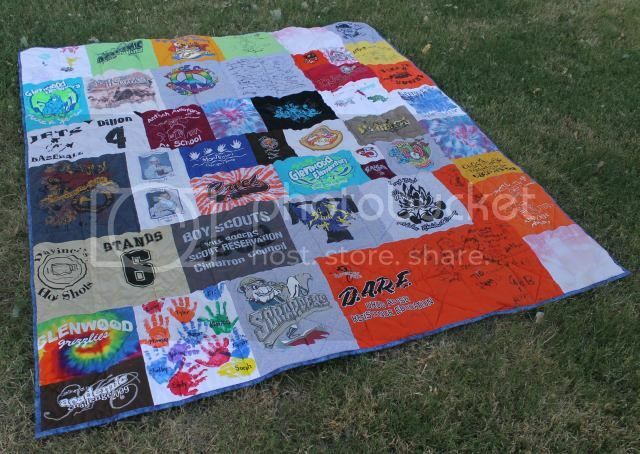 It's like the kids didn't even think about how it would look in a quilt someday when they were busy signing on the shoulders and centimeters from the collar! But eventually, it did all come together. 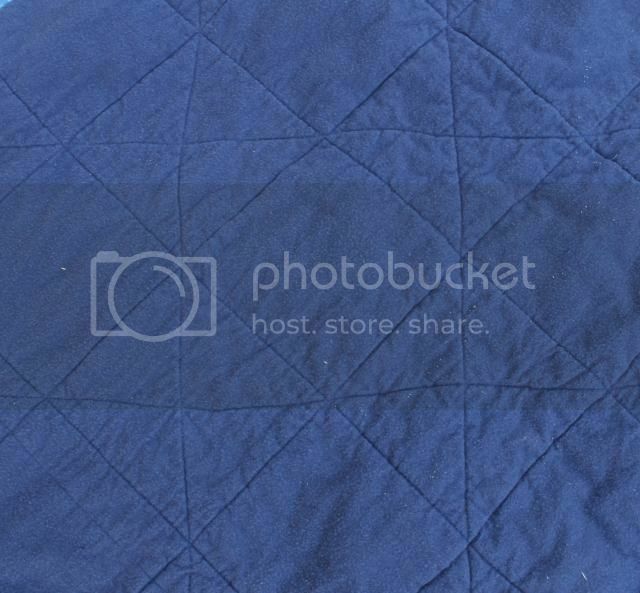 The backing is dark blue flannel from Joann's and the binding is a mottled blue from Hobby Lobby. 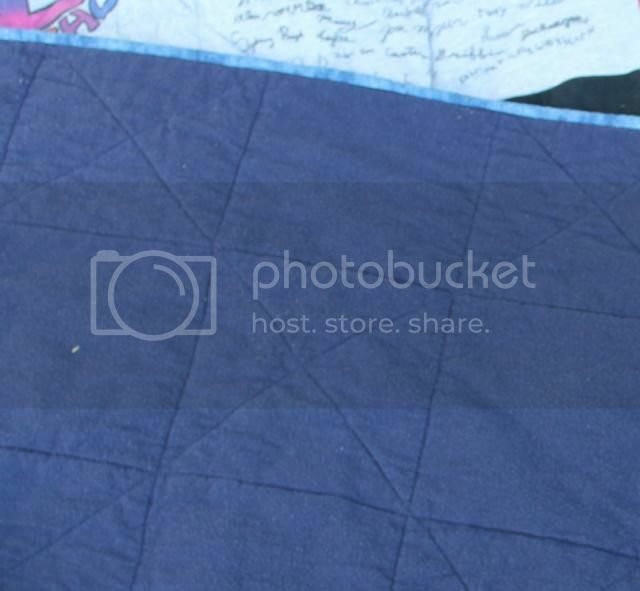 The quilting is an extra special touch that makes me smile. It's the Ohio Star, and they are headed back to Ohio after this assignment. So I tell the Dude, "Maybe Daddy will get a job at Wright-Patt next, and you and D will be together again." It's a small Air Force, you never know.